A byway that was once a well used track but is now a pleasant green lane. RATING: An easy drive but quite a rough track in places. 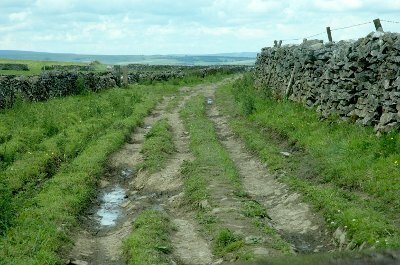 Sough Lane, part of the Limestone Way, leaves the tarmac looking as if it is the track to the farm. It is, however quite a pleasant drive. 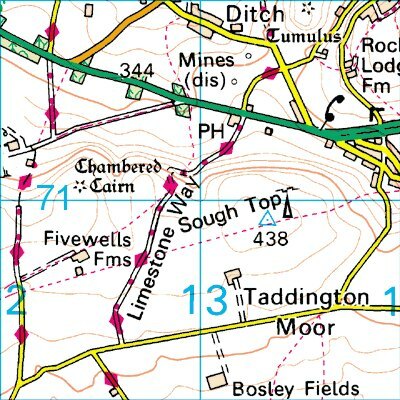 The layout of the lanes suggest that this track was once a well used lane, part of the 17th century lead mining infrastructure but it became obsolete probably with the closing of the mines and remained unsurfaced. 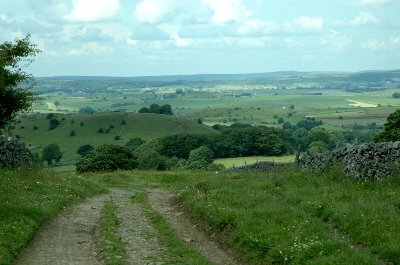 Nearby roads became the preferred routes and, subsequently, surfaced roads. 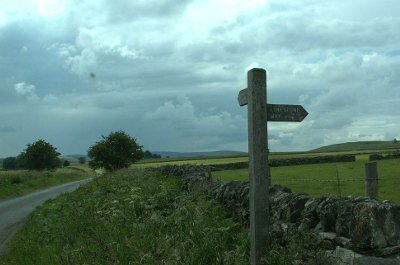 The signpost at the bottom reads 'Limestone Way' but has no other indication as to whether it is public byway or simply a footpath. The google maps survey car has driven a good way up this lane which suggests that it remains open to all traffic. Certainly the track starts off as a good surface but it soon becomes a firm track (for 4x4 vehicles) with some very nice views over the nearby hills. 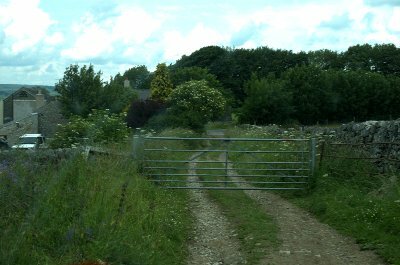 The lane finishes at a gate closing the lane from the A6 at the junction with the Waterloo Hotel, a building which is marked on the 1879 Ordnance Survey map. Sough Lane continues across the A6 and becomes Priestcliffe Road. Follow Priestcliffe Road to continue onto the lane at Priestcliffe.